One of the best powerpop punk bands on the earth today. Yes, the boys from Tokyo dropped thiernew single including brand new 4 songs! 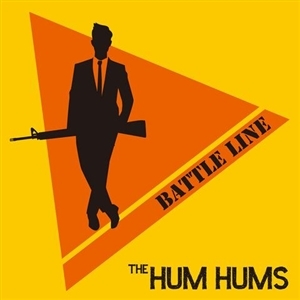 This is their 1st vinyl release which they were starving.The title track "Battle Line" open their new gate. This 7" includes massive pop punk tunes. If youare into Ramones + Beach Boys / Buzzcocks, here it is. This 7" is very limited. Once it's gone, it'sgone seriously. So grab this while you can, and enjoy!